HIGH VISIBILITY COMMERCIAL BUILDING / WAREHOUSETypical. There is One Walkin Door & Two Overheard Doors. 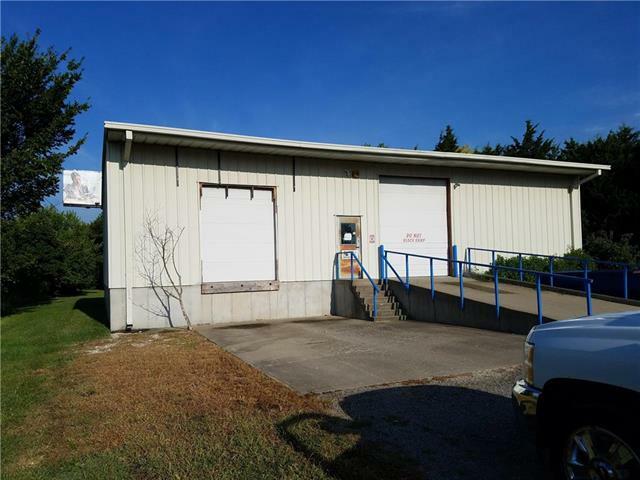 Dock Door is 8' W x 10'H and a Ramp Drive-In Door 9' W x 12' H. Great Location Just off Hwy 50 East of Knob Noster. Ideal for Wide Range of Other Commercial Businesses. No Disclosure Available. SOLD AS IS WITH NO WARRANTIES OR REPAIRS. SQFT. estimated based on outside measurements.